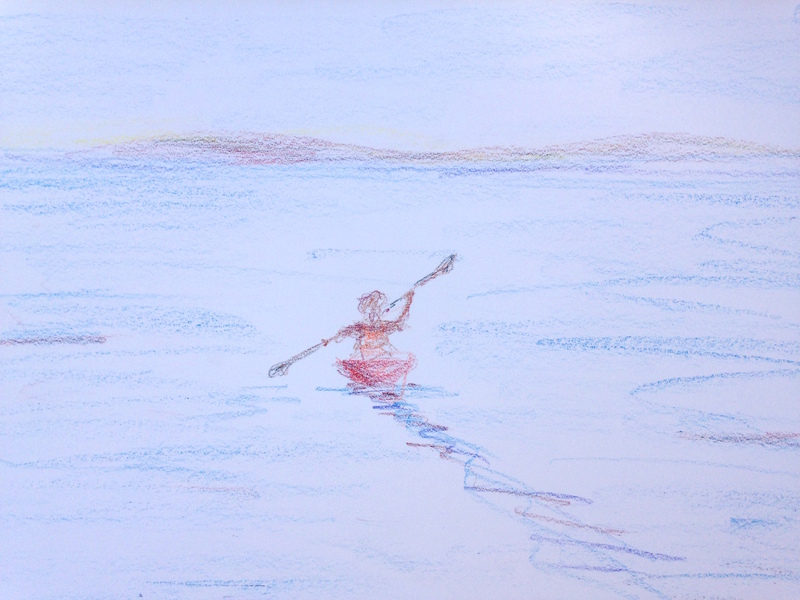 tranquil seas .. quiet heart .. soft breezes begin to ruffle the water’s surface .. a solo kayaker sets off on an exploration .. The weighted sky water of summer. 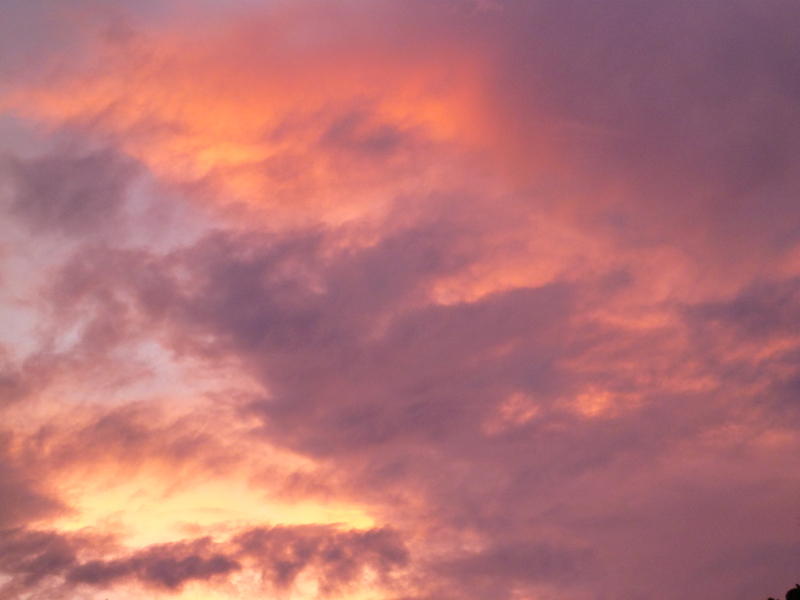 A thousand wardrobe changes in the day (and that’s just the sky!). Color palettes shift from frothy white to angry greys with blasts of orange and red and gold sprinkled between. The season of clouds. The heart of summer in Baja. On June 1, 2009, the foundation for “Pescadores Vigilantes” (vigilant fishermen) was established in Loreto, BCS. To address issues concerning conservation of the fishing industry and the National Marine Park, local commercial and sport fishermen were invited to a meeting sponsored by Eco-Alianza de Loreto. Participation was strong as over 100 responses were received by the organizers. The meeting was held at Mediterraneo Restaurant to coincide with the celebration of Mariner’s Day. 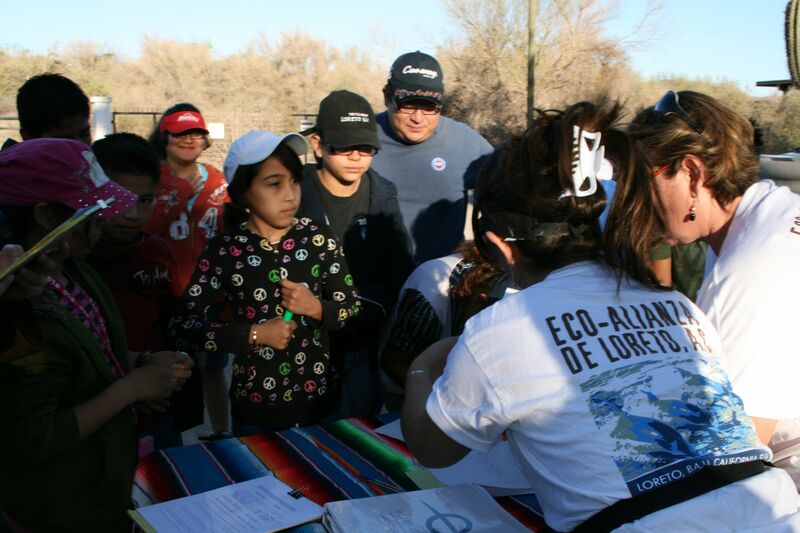 Laura Escobosa, the Director of Eco-Alianza, was introduced by Pam Bolles of Baja Big Fish, who expressed her thanks for organizing the event. The purpose of the evening was to communicate the need for the fisherman to work together to protect the sea and thus their livelihood. Fishing is one of the economic pillars in the community of Loreto, and protecting the sea must be seen as “good business” by everyone. The meeting was designed to create solutions that will insure the stability of the local industry. Conservation regulations are in place in the Loreto National Marine Park, but there is little enforcement and insufficient resources to protect the area. Local fishermen complain of the fleets from Sinaloa that drain the resource without permit or conscience, but there seems to be no one to stop them. Loretano commercial and sport fishers pay fees and licenses that are not charged to those from outside areas. American sport fishers are often overloaded with guests – and fish without permits that local charter companies are required to purchase. The system is unjust and not well managed. 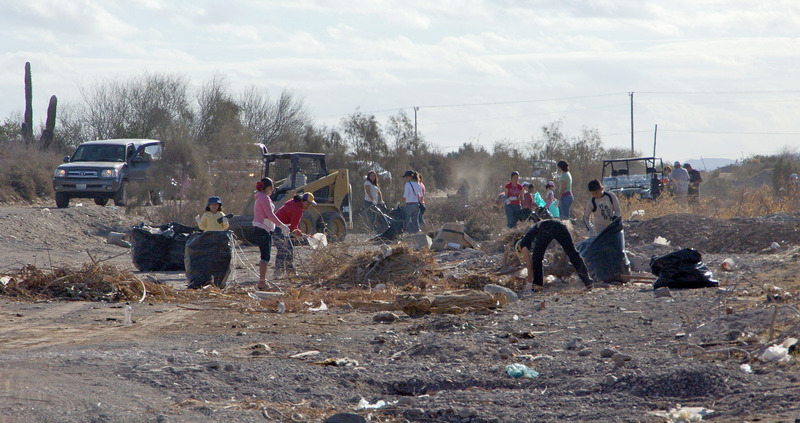 Pescadores Vigilantes is designed to address these issues. Acting as one, instead of isolated voices, is it hoped the local fisherman will be able to increase the weight of their ideas and establish a more powerful position in the future of their industry. At the heart of the formation of the group is a vehicle for reporting illegal activities. One of the previous stumbling blocks has been a fear of identification and possible retribution, but channels are now in place to provide complete anonymity. Fishermen can make a simple phone call or visit the office of Eco-Alianza to report illegal activities, with complete assurance that their names will never be revealed. Protection of the Park and its resources is everyone’s responsibility – those who live in Loreto and those who visit. But it is the fishermen, who are on the water daily, who must assume a leadership role. 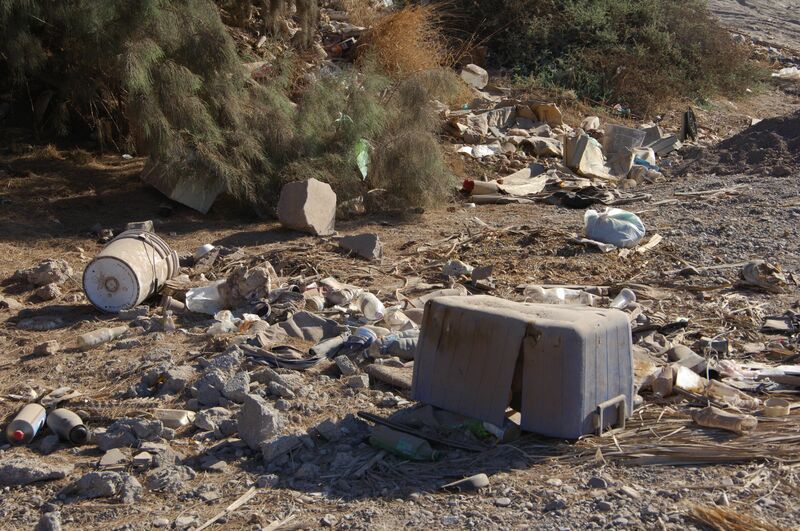 The Park and all its beauty cannot defend itself against human intrusion as environmental abuses such as dumping of trash, oils, paints and other waste products – both at sea and on land – threaten the health of the marine life. As the sea becomes over-fished and polluted, the ecosystem will collapse, and the economic effects on Loreto will be devastating. 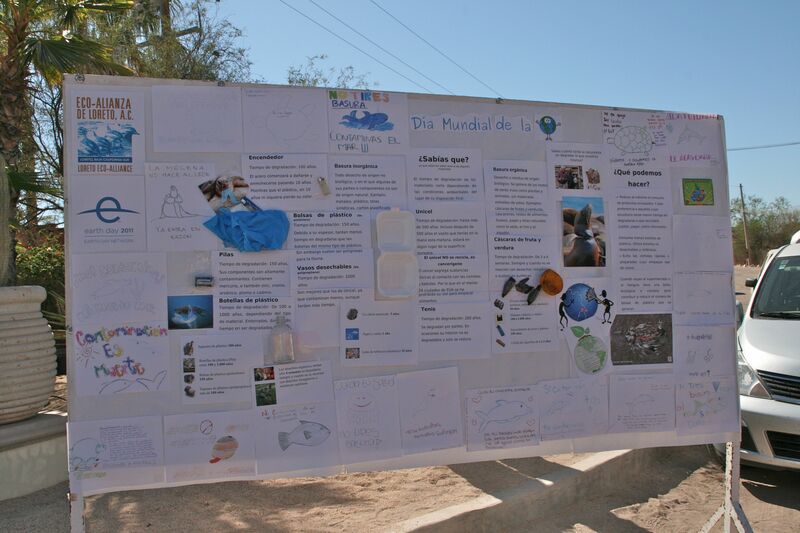 To further support the Pescadores Vigilantes, Eco-Alianza pledged to develop a clearly delineated map of fishing zones and no-take areas, plus produce a simple version of current regulations and guidelines inside the park, using information from the recently generated “Ordenamiento Pesquero”. The meeting provided an opportunity for the fisherman to share their ideas and develop an on-going dialog. Ms. Escobosa sat with several of the attendees after her presentation, and listened to their questions and suggestions. They expressed a willingness to help with surveillance, but more than that, they wanted their voices to be taken into consideration when decisions about the future of Loreto are made. As fishermen, they understand their importance to the tourist economy. Some of their other ideas included having a booth at the Marina open from 6 AM to 6 PM where visitors could purchase FONMAR fishing licenses and CONANP bracelets. Currently, nothing is available until after 9 AM. There was an extended conversation about limiting the number of fishing permits that are available. If the number were fixed, that would limit outside fishing interests from taking from the park. Permits could then be sold or inherited by relatives. This is a technique that has been proven to work as a conservation tool in Canada and Alaska. Some of the fishermen in attendance included: Loreto Velis Murillo, Alejandro Davis, Victor Manuel Villalejo, Ramon Mayoral Baeza, José Luis Davis Meza, and Octavio Acosta. It is hoped that different leaders in the community will emerge after the event, and that strategies can be developed to strengthen the fishing sector. A follow up meeting is planned in three months.